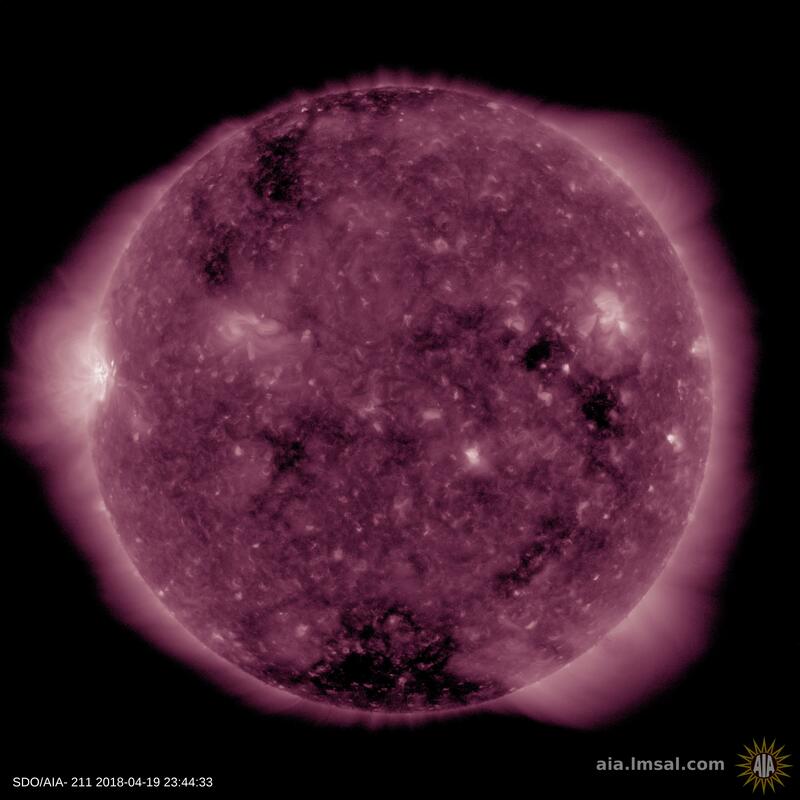 NOAA forecasters say that a stream of solar wind could hit Earth's magnetic field during the late hours of April 19th. We think April 20th is more likely. Either way, polar magnetic unrest is possible in the next 24-48 hours. High-latitude sky watchers should be alert for auroras.